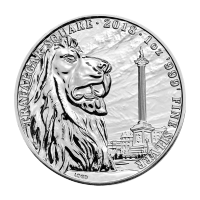 وجه العملة تمثال للملكة اليزابيث الثانية وعبارة "Elizabeth II 50 Dollars 2018"
تمثال للملكة اليزابيث الثانية وعبارة "Elizabeth II 50 Dollars 2018"
1oz 2018 Canadian Maple Leaf Gold Coin Purchase your 1 oz 2018 Canadian Maple Leaf gold coin from our shop today and enjoy the best price online. 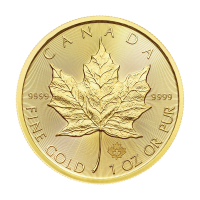 The Canadian Royal Mint introduced their Maple Leaf coins in 1979 and, to date, over 20 million ounces of these meticulously etched coins have been sold. 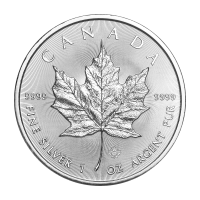 The reverse design on the 2018 coin takes detail to startling new heights, with a laser etched, radial line design and a true-to-life maple leaf that you will have to see to believe. 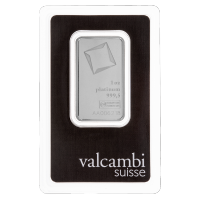 Also on the reverse, the ‘Canada’ legend, along with the coin’s weight and .9999 purity. 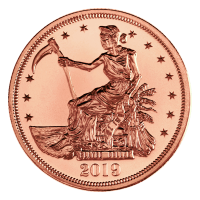 The obverse features a simplistic portrait of Elizabeth II, along with her name and the year of issue. 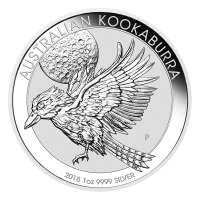 As on the obverse, a field of precise radial lines finishes the obverse side of the coin off and while doubling as a failsafe security feature, refracts the light with startling effect. The beautiful radial lines and awe inspiring detail on the maple leaf design of this coin are possible thanks to the cutting edge laser technology employed by the Royal Canadian Mint. 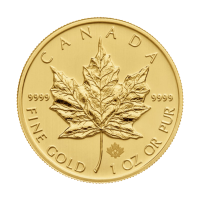 Enrich your holdings with this breathtaking Canadian keepsake, order your 1 oz 2018 Canadian Maple Leaf gold coin today.